Beaumont police officers launched three separate investigations Saturday night into shootings at three separate locations. 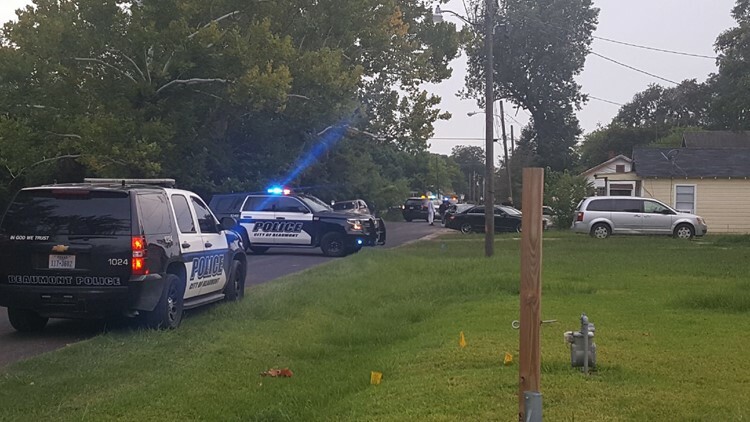 Office Carol Riley tells 12News the first investigation centered on a home on the 800 block of Plum Street in Beaumont, although early reports suggest the victim of the shooting was transported in a private vehicle to Christus St. Elizabeth Hospital. Riley says an argument between two men apparently stemmed from whether one was allowed to be a pallbearer at a funeral. One of the men was being choked and used a gun to shoot his adversary. Officers first responded to the home at 7:03 p.m. Saturday. At 8:39 p.m. Saturday police were called to a report of a shooting at 1400 Washington Street. There, 2 men reportedly engaged in a fight that led to a shooting of one subject. Officers responded to a Valero gas station on Washington. And at 9:03 p.m. Saturday officers responded to reports of a robbery and shooting at the Northridge Manor Apartments at 4155 Maida. Authorities believe it may have been a drug-related incident but the motive remains unclear. All the incidents remain under investigation. None of the injuries appear to be life-threatening at this time and by 11 p.m. Saturday no arrests had been reported in any of the shootings. In an unrelated matter, Beaumont police also confirm the stabbing of a man at the 2800 block of Pine Street. It happened at the Grand Pines Apartments. That male victim went to a hospital by private vehicle. A woman is being questioned in connection with that stabbing.